« Will the US drone hobby be destroyed by paperwork? Tagged fpv, rpi, uav, video. Bookmark the permalink. Hi, thanks for point the possibility to use the Pi with gstreamer for video streaming out. I just tried it myself and the first results looks interesting. I just ordered 2 CSL 300Mbit USB WLAN adapters to perform some outdoors tests. Have you done any further research how the latency can be reduced further? Thank you for the article, it contains very valuable information! I’ve set up streaming as described in this article and it works perfectly (I use self-made RC rogallo with raspberry pi on it). Only issue is the signal loss during the flight depending on position etc…. I use USB wifi adapters on both sides with detachable antennas. What kind of antennas/Wifi adapters do you use for your drone ? I would look into Ubiquiti wireless gear. I have and am getting ready to test a very similar setup using bulletM5 NAnoStation NSM5 12-24vdc to power output adjustable up to 1watt come either 2.4ghz or 5.8ghz I have done ground based testing with stock antennas and travel about 1 mile from the house with no issue. Keep in mind this is ground testing so Im anxious to get one in the air to see, they claim 50k(@30miles) point to point and I think 100mbps throughput so for video and telemetry should be great and stripped of cases. Afraid not. I took some stabs at it–multicasting, playing with bitrate and framerate, couple others–but nothing held. 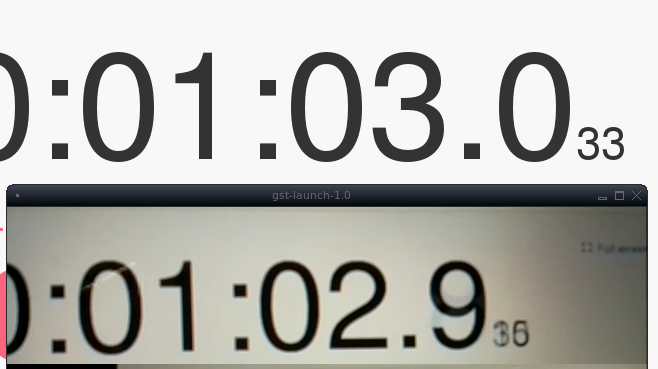 It either increased framerate or stayed about the same. Short of something more drastic, it looks like ~100ms is about the limit on the Rpi. Thanks for this write-up, Timm. I was looking into using a NanoPi Neo AIR, using the in-built h.264 hardware, as a Digital video transmitter until realizing it only has a 2.4Ghz transmitter. Then the latency question reared it’s head! Hi, great results. What app have you used on that laptop? I have trouble to find some low-latency app for receiving stream. VLC have long buffer otherwise is not working.